With the 2016 season rapidly approaching, MaxLax consulted with a handful of area coaches, numerous all-league lists and pored over more than a few rosters, recruiting lists and club teams to identify the players to watch heading into the season. Many of these players have earned reputations as San Diego’s best in their time in the county. Of course, as with any list, not every potential star player could be named. This particular list aims only to identify key players entering the 2016 season. What happens next will be determined on the field. 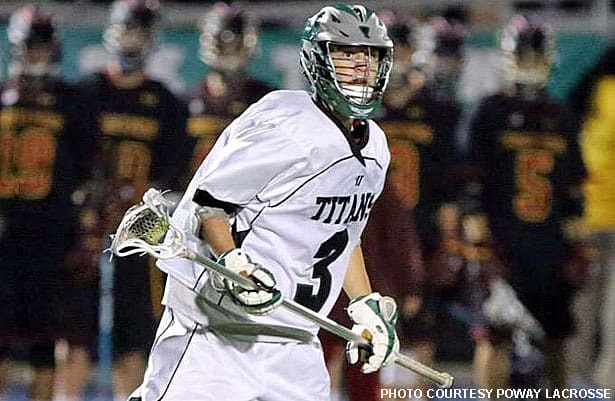 Today, we look at specialists — those players (like Poway LSM Jake Fiske, above) charged with obtaining (or denying) possession. Listed as a defender, Fiske almost fits into a category of his own. He was the key ingredient in Poway’s championship formula last season, when he earned All-CIF honors. Fiske is an artist at the take-away check and possesses arguably the best long-range shot in the area. Not only was Fiske the top defender for Poway, he also scored 32 goals and had 9 assists. He played both man-down defense and man-up offense. There is no doubt he will be an even more turbulent force this year. Fiske is committed to Bryant. Sophomore faceoff middie Spencer Grant gives Torrey Pines a possession edge. 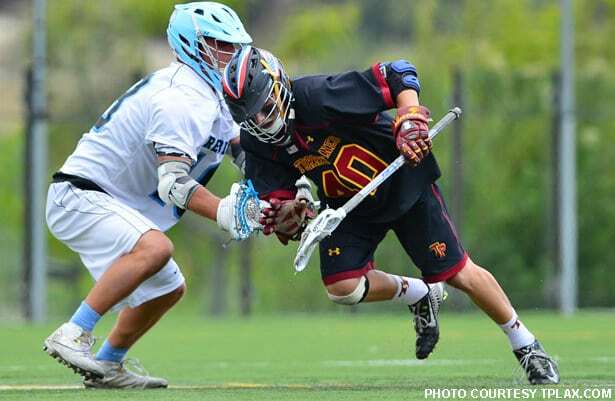 Grant is almost unanimously considered San Diego’s top faceoff prospect. Only a sophomore, Grant has the honed and polished skills of a veteran. Coming off a terrific summer on the club circuit, he committed to the University of Michigan in November. In December he won the 2015 FaceOff Academy National Championship. Gormican might be only a junior, but his impact has been that of a veteran. He is a dynamic goalie who can makes stops well enough, but his real strength is in his transitional abilities and awareness. Gormican is never shy about bringing the ball up as far as the opposition will let him; he even scored a goal against Torrey Pines last season. This tenacious instinct will no doubt benefit from another year or two of maturity, so expect Gormican to remain a top area player for a while. When he does graduate in 2017, he will strengthen the San Diego-to-Bryant pipeline. Cutting is only a sophomore, but he was in net last May when Poway won the Open Division Championship, making eight saves in only his third start of the season. One of those saves came on a point-blank finish attempt by Torrey Pines in the final two minutes and preserved the Titans’ one-goal lead. Poway still has senior Jake Butler, committed to NCAA D-III Aurora, on the roster, so there might be competition for the starting spot. Nevertheless, Cutting is one to watch both this year and in the future. Who are some other players to watch in San Diego this season? Let us know in the comments below.